Trifolium parryi is common, sometimes scattered and sometimes in dense colonies in moist subalpine and tundra. 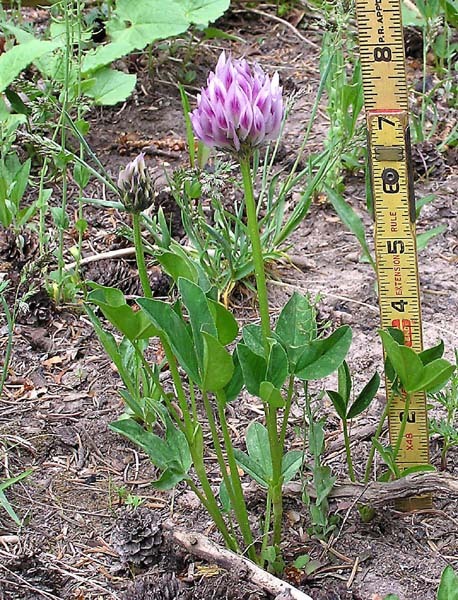 Flower stalks are leafless and erect; flowers are considerably above the leaves and commonly solitary. Flower color ranges through pinks and lavender/purples.